Oh Summer, you are kickin' my fanny. Kickin' it real good. Some days it is a good kind of busy. Then there are days I walk past a mirror at the end of the marathon struggle of putting four Little Men to bed after a rowdy day and see mascara streaks underneath a pair of very tired eyes. How long has that mess been there? Oh probably long enough that the store clerk thought Alice Cooper was frequenting the local Walmart. Well I guess I am just gonna have to embrace the crazy. You know what helps the crazy? An easy meal. A meal that is so good that the whole family loves it. 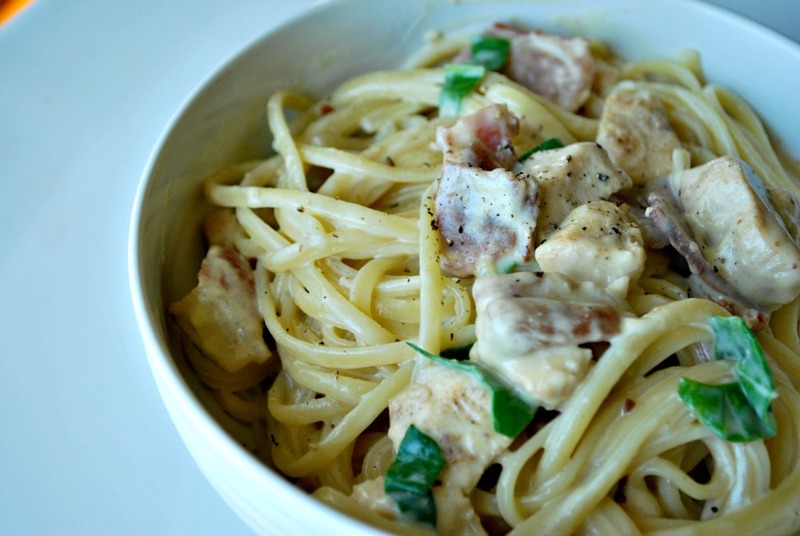 A big bowl of pasta with creamy sauce and bacon. Yes I just compared my boys to bacon lovin' puppies. I call it like I see it. When they came in the door the last time I made this, first they cheered at the smell of bacon. Then when I told them what was for dinner (besides bacon), they pretty much all said, "YES! That is my favorite. We love that dinner!" I will have you know they don't even pick out the spinach. I am not gonna lie, I am not sure they even see it past the bacon. Thank you again bacon for saving my crazy Summer day. Cook bacon. Remove and set aside. 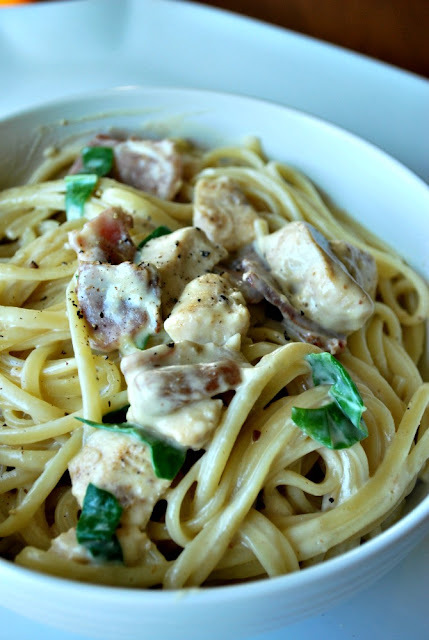 Go ahead and cook up that chicken in the same pan the bacon just cooked in. Yup, cook up the chicken in the bacon drippings. Just trust me. Cook the chicken for about 4-5 minutes and then add in the garlic. Cook until chicken is done. Set aside but keep it in the skillet. Whisk together the yolks, cream, milk, and cheese. Cook the pasta in boiling water. Cook until just before al dente. At this point put the skillet with the chicken bacon on medium heat and add the bacon. Then scoop out the pasta from the water with tongs or a pasta spoon, and add it to the skillet. Make sure some of the pasta water makes it to the skillet too. The pasta water will help thicken the sauce. Pour the cream mixture over the pasta. Sprinkle the spinach over the top. Gently toss the pasta so that the sauce evenly covers all the pasta. Do not overheat the pasta and sauce will get thick and a little lumpy. I decided this Summer that I wanted to start training my Little Men to be future Super Men. So far they aren't loving all of my training. They really don't appreciate my training in clothes coordination. They feel that matching should not be a necessity. I often get, "MOM! Why do you always want things to go?" Oh I just do son! They also have not truly liked my training them to clean up. For this whole chore thing I get, "MOM! I really don't like this whole chore thing!" Sorry son, I almost feel bad for you. I guess when you are 8 and 5 it is hard to see that. Future older sons of mine...you will thank me. Current sons...quit your bellyaching and just trust your Momma. Now, I will say there is a task they like to learn. Cooking. They love to help me cook. In fact, that is one of the big Project No More, "I'm Bored!" for the Summer. At the beginning of the Summer, I implemented a once a week kids cooking night. The older boys switch off weeks. So one boy has a turn every other week. On their scheduled day, they pick out a dinner recipe (with a little bit of guidance from me) and a dessert recipe. They are then in charge of helping me put together the dishes. They LOVE their day to cook. 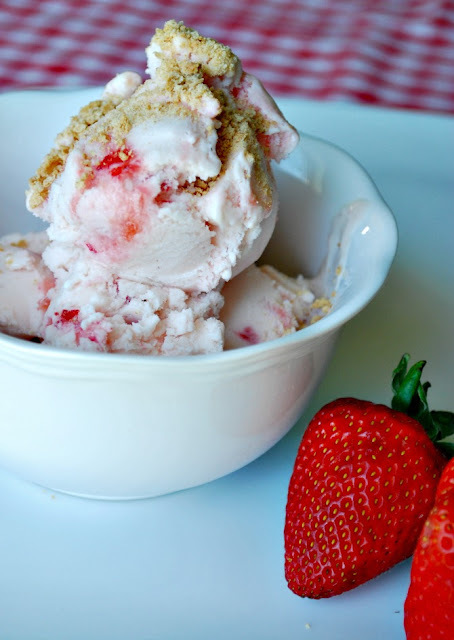 They love picking out and making yummy treats...like this Strawberry Shortcake Rice Crispie Treat. I put them to work on the parts of the recipe they can do. Here Middle is cutting cubes of some shortcake. He is concentrating so hard that his little tongue is sticking out. So cute. I help with the things he can't do, like melting and pouring the giant vat of melted mallows. Okay well Middle liked getting his hands dirty while making the dessert. The meatloaf cupcakes he chose to make...yeah he didn't so much want to get his hands all in the meat mixture. Good thing I am a meat mixing pro. Tasting the dessert is more up his responsibilities alley. There are almost always a few things that little helping hands can do. It is a great opportunity to teach them cooking lingo and cooking tips. You know, like don't whip the cream at too high of a speed or you might get a mess. Yup, I will make cooks out of them yet. Stand back and be amazed at how happy finishing a recipe will make your kiddo. Cooking with your kids is such an easy thing to do. I help my Little Men pick recipes that are easy enough to help out with. I make sure they do the parts of the recipe that they can accomplish safely. I even let Older break open an egg a couple of weeks ago. The little bit of work and planning is totally worth seeing the excitement and accomplishment as they finish their menu item of the day. Didn't Middle pick a yummy dessert? 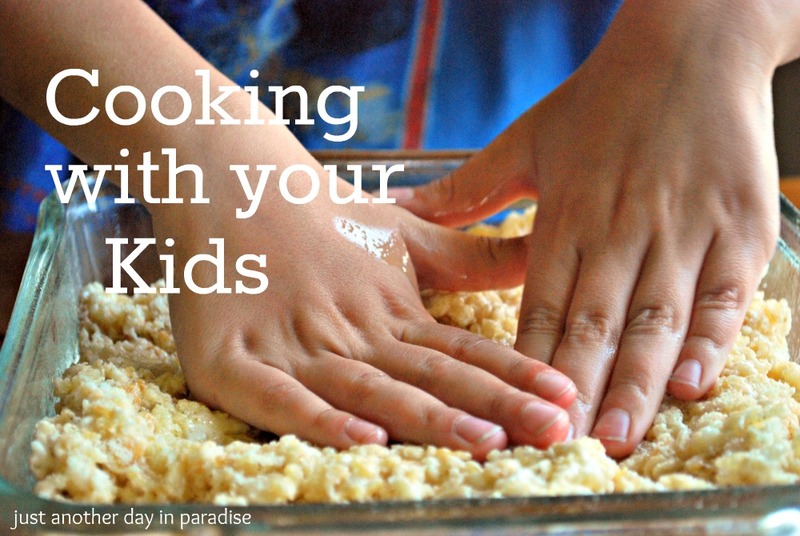 I thought I would share this recipe so that you could also cook it with your kiddos. In a large bowl melt the marshmallows and butter together in the microwave, until smooth. Gently stir in rice crispies and cake pieces. Press into a greased 8x8 pan for thicker bars or a 9x13 for thinner bars and let them set. Meanwhile, combine cream, sugar, and vanilla in a mixing bowl. Whip together until cream forms with stiff peaks. Top each individual rice crispie square with a dollop of cream and a couple of spoonfuls of strawberries. OH...and you will probably want to eat this rice crispie with a fork, not so much your hands. If you have some bored kids, for sure get them to help you in the kitchen. People, this little frozen yogurt concoction I came up with, is well, so yummy. Head on over to Somewhat Simple where I am sharing this recipe today. Also, you might wanna keep your eyes open for some other frozen yogurt recipes coming up next week. Just sayin'. Bean is 3 months old and so stinking cute. 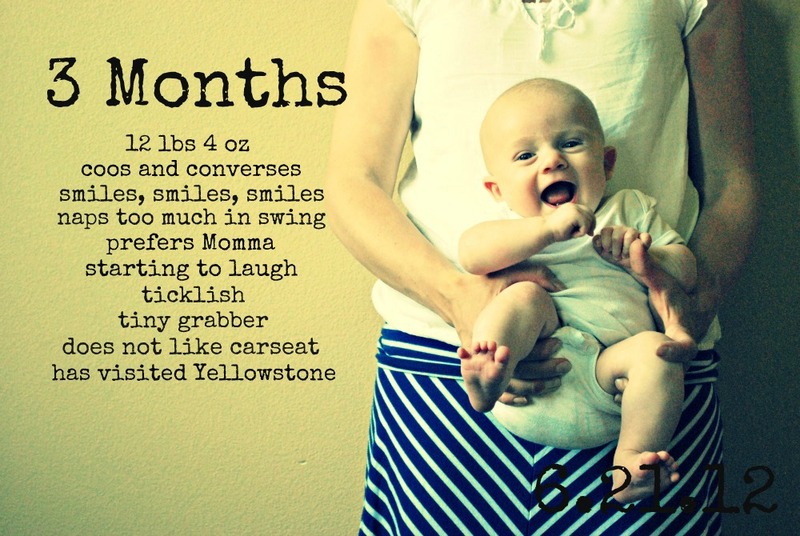 He is growing and getting more baby and less newborn. His little personality is sweet and a little spoiled stubborn. He is starting to let us know of his likes and dislikes. He has started being more attached to Momma and not many people can calm him down the same. He does love seeing Daddy and brother's faces, but he doesn't always want to be held by them. He is growing weary of his bouncy chair but still LOVES his swing. The carseat and him...well they don't get along...most of the time anyway. Looks like we are not taking a road trip any time soon. He still needs to be swaddled to sleep. If I let his arms out then he ends up spastically punching himself in the face and then wakes up. He sleeps great at night. Less great during the day. He looks like Middle but has the coloring of his Daddy. 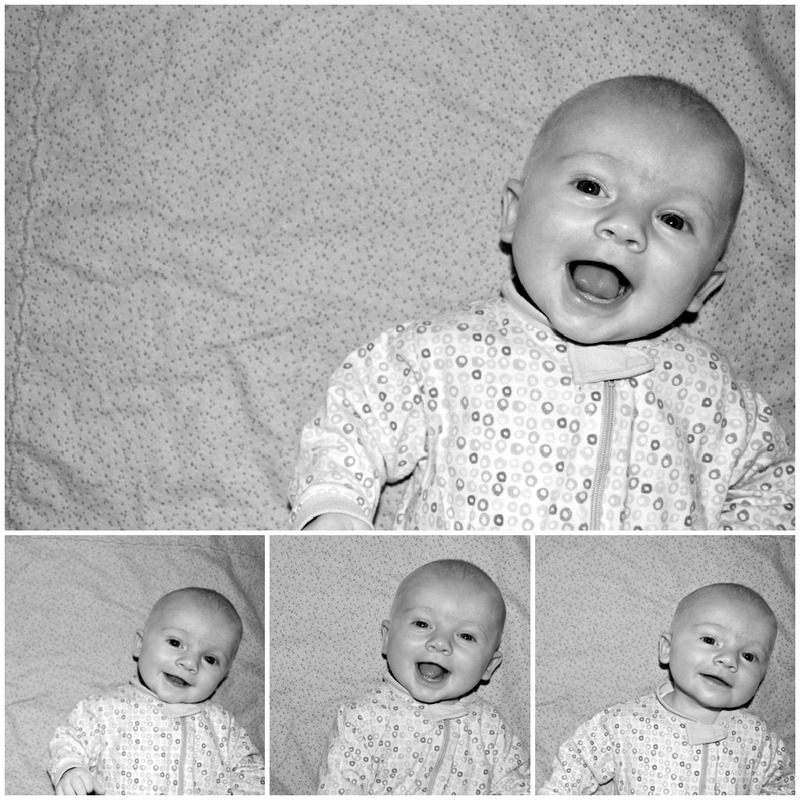 In the last several weeks he really has become this happy and smiley baby. I am not sure we have ever had a baby who smiles this much. He went from a slight turn up smile...you know the is that just gas? 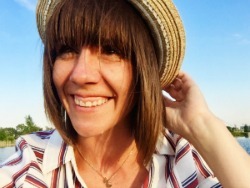 kind of smile, to a full blown all encompassing smile. The kind of smile that makes everyone around also smile. Gosh, we sure love him. Sometimes I still get overwhelmed by the thought that I have four, count them FOUR Little Men. However, most of the time I just look back and forth between this littlest one and my other Little Men and I am wondering how I got so lucky. Summer is here people. I have said it before and I will say it again...for me Summer means salads. Nothing is yummier to me than a heaping plate full of salady goodness (okay maybe I also like a big bag of Starbursts). On Father's Day, this was on the menu. I think that I might have enjoyed this meal more than the Man of the House. Don't get me wrong, he enjoyed it. I just pretty much "yummed" and "oohed" the whole time while eating. I was just shy of licking my plate, and I can probably attribute my good manners to the fact that I don't want my Little Men licking their plates for every meal thereafter. The homemade mango bbq sauce marinates the chicken to perfection. The grilled chicken was SO good. SO good you guys. I am pretty sure I ate half a chicken breast before I even assembled my salad. The grilled corn was insane. It added such a good flavor and texture to the salad. 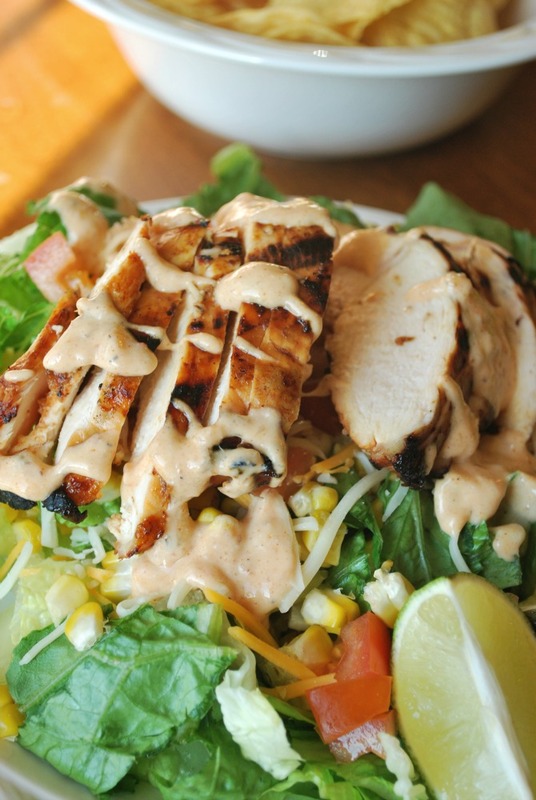 The dressing was a perfect topping to such a fresh salad. Yeah I liked it...did you guys get that already? Go get your Summer on and enjoy a salad or two for me. To make the BBQ sauce: Combine all ingredients for the sauce into a saucepan. Bring to a boil, then lower heat and simmer for 15-20 minutes, stirring often. Let cool then transfer to a food processor or blender, and process until smooth. To make the dressing: Whisk together all ingredients in a small bowl. Taste, then add more lime juice if you want. 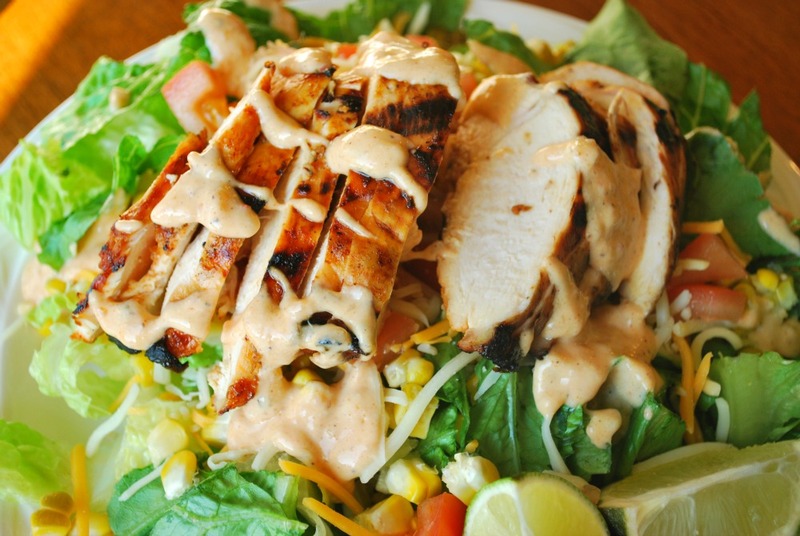 To make the salad: Marinate chicken breasts in some of the prepared mango bbq sauce for 2-3 hours. Grill over medium-high heat for 7-8 minutes per side until no longer pink in the middle, until internal temperature is 165 degrees. Allow to rest for 5 minutes off the grill before slicing. Here is where I snagged myself a couple of itty bitty bites. YUM. Grill corn alongside the chicken, rotating every few minutes until charred on all sides. Let cool for a few minutes, then cut kernels off the cob. 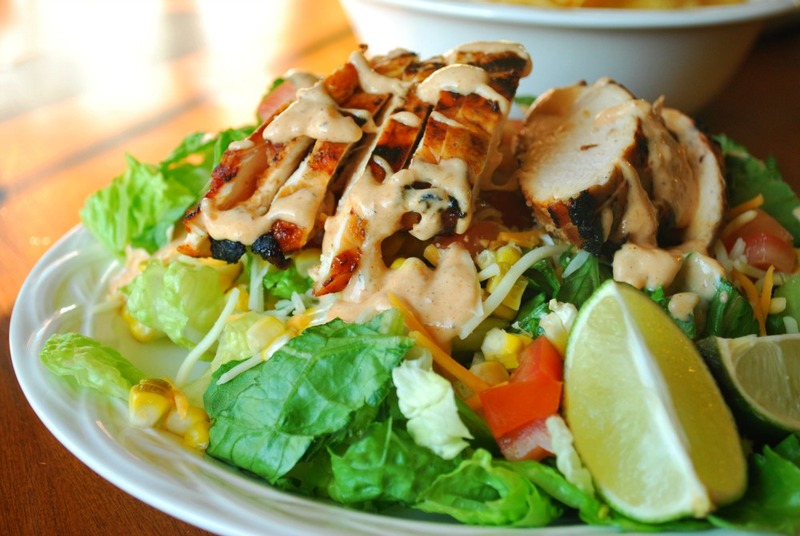 Next, divide lettuce between two plates, then top with grilled corn, tomatoes, shredded cheese, and grilled chicken. Drizzle with prepared dressing. Now, admire your beautiful salad seconds before you inhale it. Today for my A Pinteresting Wednesday I decided to go to my "tips, tricks, good to know" board. There were a couple of DIY cleaning tips that I wanted to try. I was probably drawn to the first tip because my favorite white shirt was only wearable if I put a jacket or sweater over it. The super embarrassing and yucky underarms made me sad. Was I ever going to be able to wear my oh-so-lovely summer shirt again? When I remembered that I had pinned a way to fix that underarm yellow stain I kind of jumped up for joy. The idea seemed easy enough. Could it really fix my shirt? me it is there. It was super gross. All I needed to do was mix 1 part Dawn liquid dish detergent to 2 parts hydrogen peroxide. Then I added some baking soda. After I combined the cleaning mixture, I took a laundry scrub brush and really let those stains have it. I will tell you what, even right after I scrubbed them I could tell a difference. Then once I washed and dried my shirt, I was sold. My shirt was so sparkling clean. 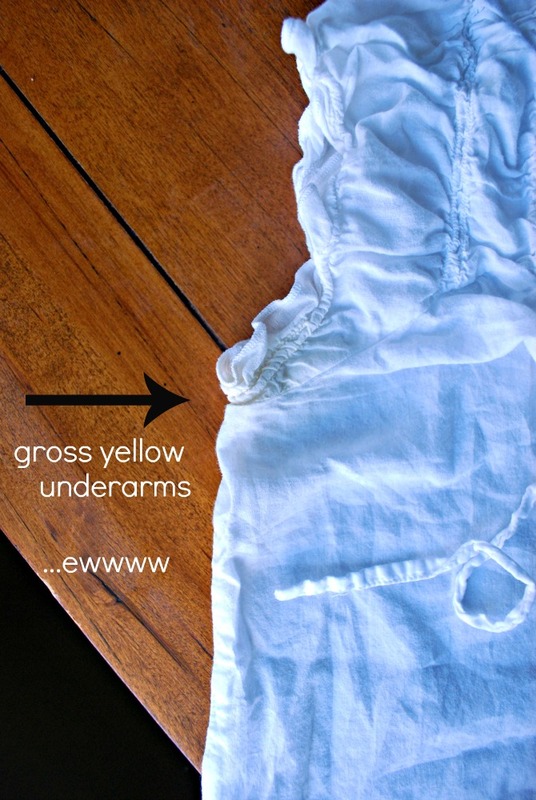 Buh-bye ugly yellow underarms. Now it can be safely worn all by itself with no shame to me. Yipee! Now Dawn seems to have even more magical qualities. I also came across this pin to clean jewelry. 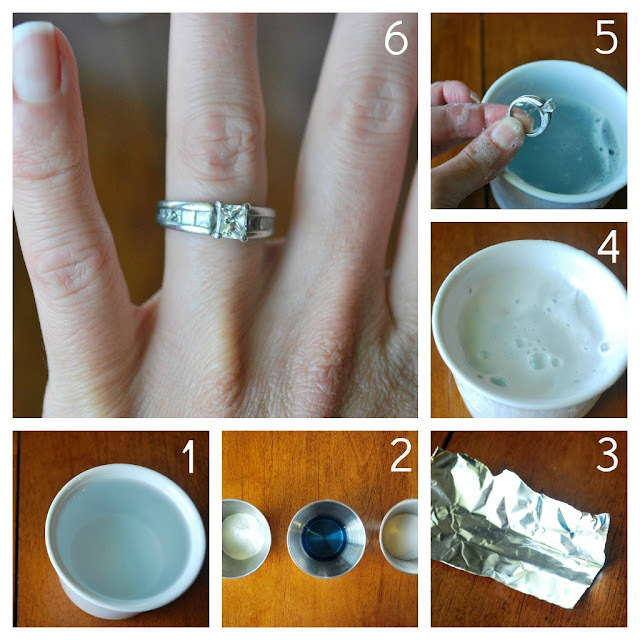 With a simple mixture of only a couple ingredients, it claims to clean pretty much any of your nice jewelry. I don't own nice jewelry. I pretty much stick to jewelry from forever21, target, hand-me-downs, and so on. The nicest thing I own is, and probably will always be, my wedding ring. I am just not a fancy girl. 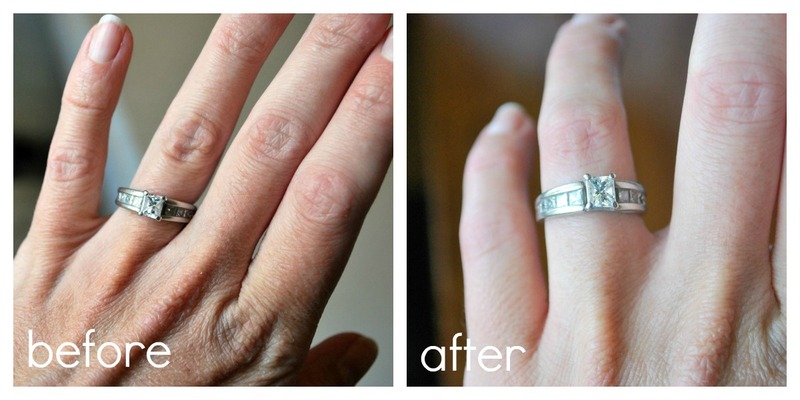 Besides my ring, jewelry does not float my boat. Now because this jewelry is also something I wear 24/7 it is pretty gosh darn filthy. I thought I owed it to my one piece of sparkly to clean it. I thought so, AND it was super easy. 1. Heat 1 cup of water for 2 minutes in the microwave. gently wipe off with a soft rag. BAM. Clean and sparkly jewelry once again. Who knew Dawn was so extra awesome? I certainly did not. Go check out the power of Dawn for yourself! I would wager a bet that Dawn doesn't even know my name. Lucky for me though, I know theirs! 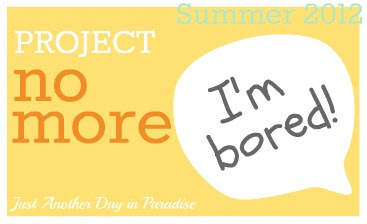 Today for Project No More "I'm Bored!" it is all about bringing a little service into the kiddos lives. I have been wanting to do a much better job at providing opportunities for my Little Men to serve others. I have a whole slew of ideas. They just keep coming. I have even asked the boys for some ideas of what they would like to do to serve others. While driving from our latest service project, Oldest actually blurted out that we should find our local orphanage and we should give them all candy. So sweet. I had to explain to him that there weren't any orphanages around here. We decided to keep brainstorming. For our latest service project we headed to the hospital. Originally our plan was to package up a couple of dollars of change, attach a note, and then leave them in the nurses' break room. We thought it would be fun to leave one or two of them a surprise to get a treat. We made our way into the hospital, including a little confusion in the automatic rotating doors. Yeah, traveling through those suckers with two rowdy olders, one punch-drunk 3 year old, and a Momma maneuvering a baby carrier was a sight to behold. There were several chuckles around us. We stopped at the front desk. She was immediately enamored with my Little Men, but was at a loss as to how to help us follow through with our service project. She led us to the volunteer coordinator. Ms. Volunteer Coordinator too was enamored with my Little Men. She thought they were so sweet to come and bring some change to the nurses. BUT, she also was at a loss as to what to do. She wasn't even sure where the break rooms were or if she could take us there. So she went to get another person. That person, the community resource person, was super friendly too. She talked to the boys about what a great thing they were doing and she complimented them on their service project. She told them about all that a nurse or doctor could buy with the change. She was so nice to them. I really appreciated all the effort these ladies went to for my boys. My boys didn't end up being able to put the change in a break room themselves, but thanks to these ladies they were able to realize what their little act of service would do for some hard-working nurses. Over all it was a great trip. I thought I would share with you how we made our thank you's, including the card that I made to go with the change. First I printed of my card after putting it in Word. It measured about 3 1/2" wide. I got two cards per sheet. Then I cut them out and folded them in half. I bought some teeny tiny cellophane snack bags in the wedding section of The Mart. I put $2.00 of change in each little baggie. Then I folded over the top of the bag and sandwiched it between the card and stapled it in place. Like I said, our plan was to leave them in a break room. You could also tape them to a vending machine. You could leave them for a baseball coach. The possibilities are endless. Here is the card I made. You just need to save it as a picture onto your computer and then put it in Word (or similar program) to print off. Load up your little do-gooders and bring some smiles to others. I am realizing there are so many ways to serve. Serving can be as simple as weeding for a neighbor in need of a little extra help. Serving has got to be one of the best boredom busters because it teaches such a valuable lesson. Even if one of the lessons is simply learning to serve with a good attitude. He will get it though. 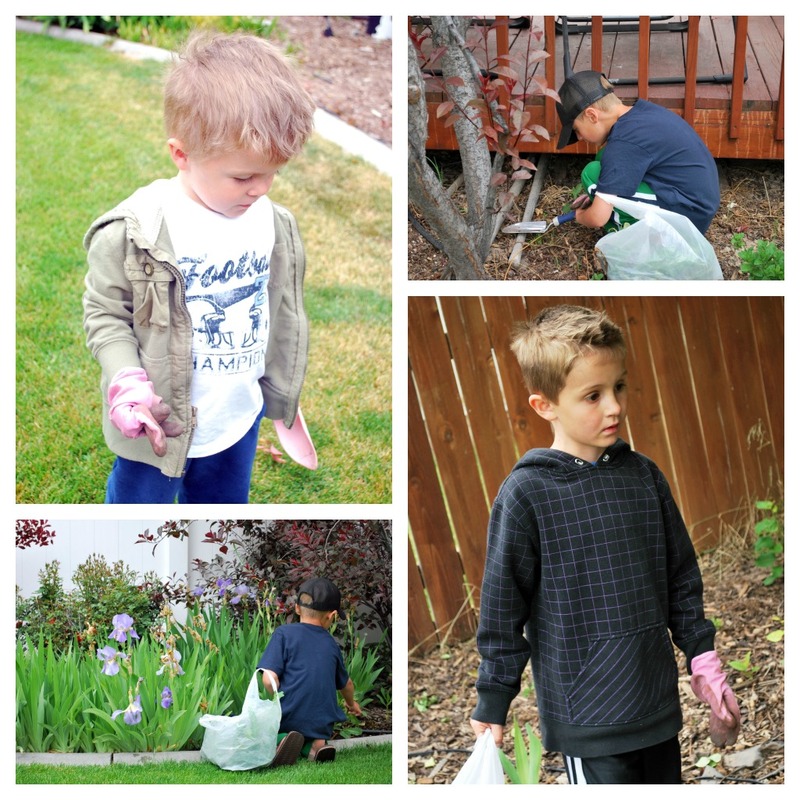 Do you do service with your kiddos? What are some of your favorite ways to serve. I would LOVE ideas, because we are going to keep doing service projects all Summer. Father's Day is um...yeah, tomorrow. Sharing a last minute idea with you...trust me it is easy enough to pull off today if you need a last minute gift. It has been a last minute kind of week around here. I am still working on a gift or two...however, my kids stepped up their game and got their presents all done. Okay, so maybe I helped a little. Still don't think that counts as my gift though. Don't worry I have got myself some cool ideas. Now I just need to try and find the time. Bean might make that hard. Have your kiddos draw a picture on the gritty side of the sandpaper. Make sure to tell them to press super hard. For little hands I would go over their drawings after they are done. Master of the Dark Side. Or even a famous phrase said by dear old dad. Remember that the drawing or words will need to be transposed if you want them to show up the right way. My boys' drawings were fine as drawn except for the words on Middle's which I helped him right backwards. Once the kids are done with their drawings, place the sandpaper with the drawing side down on the shirt where you want the image to be. Place a piece of parchment paper over the sandpaper and then run an iron firmly over the sandpaper, with the iron on the cotton setting. 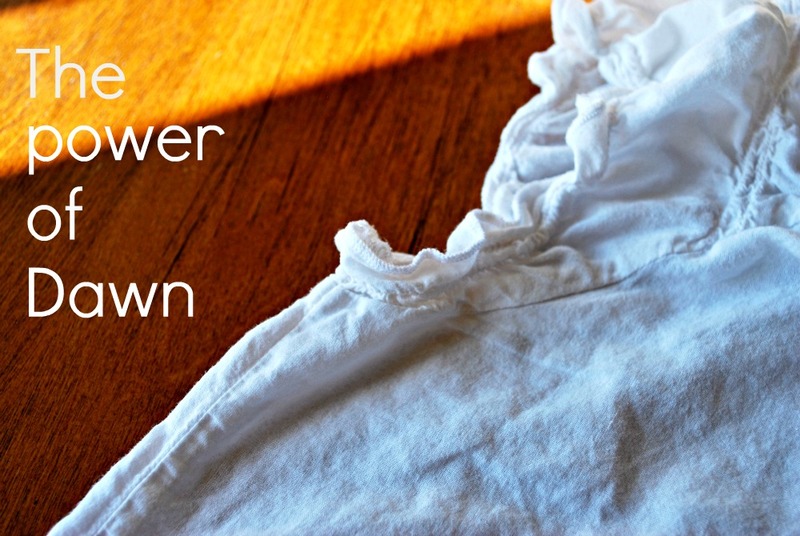 Make sure to iron thoroughly in order for the drawing to transfer over completely. After the image is transferred over, place a paper towel over the image and run an iron over it again to remove extra wax. Then run it in the dryer for 20 minutes to set. When you wash it for the first time, was alone. Hope this last minute idea helps you out.